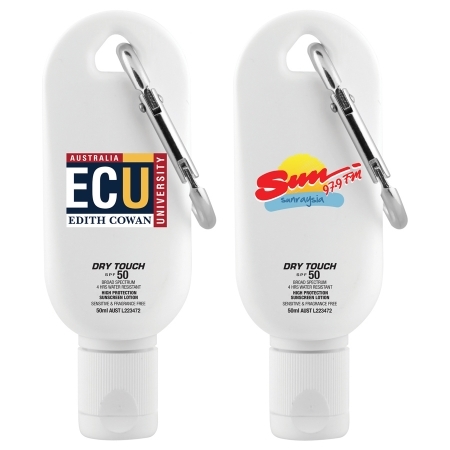 Australian-made and TGA approved, this smart looking Promotional 50ml Sunscreen with Carabiner is ideal for attaching to golf bags, back packs or school bags. Suitable for the beach or outdoors. 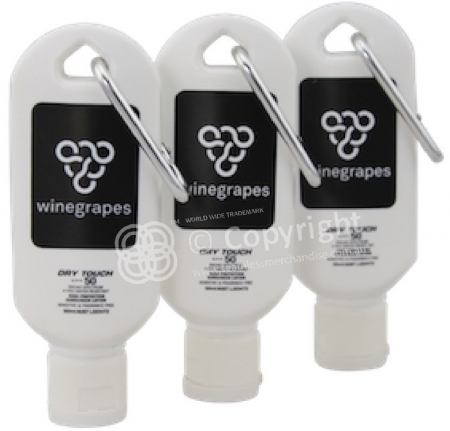 Screw top allows easy refilling. 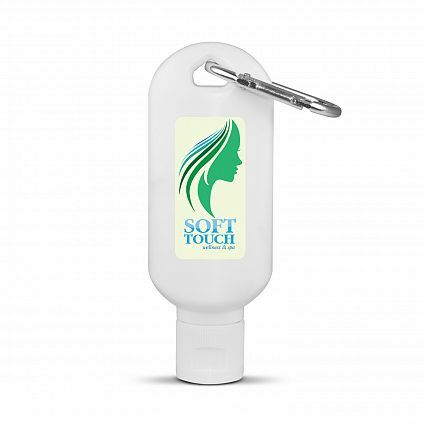 Features: carabiner, broad spectrum 50+ SPF very high protection sunscreen. One colour digital print. 10 days dispatch. Over 1000 units 8-10 weeks from artwork approval. Available in a range of color(s) including Black, Red, White - Black, White-Black only.